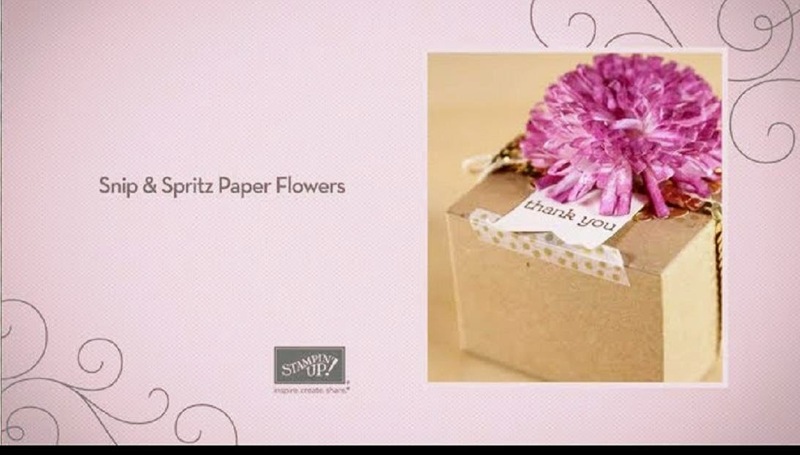 Here's a Stampin' Up video tutorial showing you how to make this pretty Crepe Filter Paper flower using Fringe Scissors. Email subscribers: don't forget that you'll need to click on this email post title to get to my blog to watch the video. Also, I forgot to mention last week that Stampin' Up put out an update saying that the items on the 2013 Holiday Carryover list HERE are only available until August 28, 2014 (the new holiday mini catalog starts right after that). So be sure to check out the list before then and thanks for visiting!